Hello friend thanks for your blog. 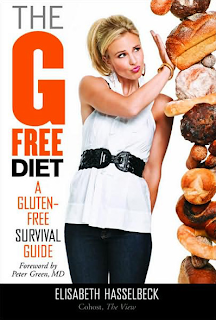 I do not know if this is plagiarism or not, so if it is the collective need celiac more popular demand, laws that protect the proper labeling, gluten-free menus school, universities, jobs, flights ... Early Diagnosis and fast is not fair that the society we live in developing exixtan more than 70% of undiagnosed celiac patients, physicians need to join once and for all in their Procol celiquia, there are thousands of patients with serious health problems celiac coelctiv while looking the other way. Just ask for a little solidarity for themselves, it seems that the only thing for them is importnte the preparation of dishes without gluten. Perhaps the only vice celiac in your home? Perhaps the celiac goes to the street? Was it just what rentavilidad economic interest to cooking gluten-free blogs? Excuse my anger, but not much comprondo indifference.